UPDATE/CORRECTION (7/17/2013): It turns out that I had been mistaken about this. The various reports that the governor had signed the bill were incorrect. The bill had only made its way to the governor, but he had not signed it. And, he has in fact now vetoed it. So, for the moment at least, Connecticut’s law concerning noncompetes will not be changing any time soon. My apologies for any confusion! The bill is a bit unclear about exactly which noncompetes come within the purview of the new law. Specifically, it seems to apply to noncompetes that are “presented . . . as a condition of continued employment . . . .” See Section 1(b)(2). However, immediately after, it talks about “such noncompete” not just “entered into,” but “renewed or extended . . . .” Id. This raises a few serious questions, not the least of which is how can a noncompete be renewed or extended (which suggests that it already exists) when it also needs to be “presented” (which suggests a new agreement with the new company)? Similarly, is it to say that once a company is merged with – note, not “into” – another, all employees of the two merged entities are now within the scope of the law? Does it mean that from the time of the merger or acquisition forward, the company will need to comply with this statute, regardless of how long ago the acquisition or merger was? Does it apply to an employment agreement where only one portion contains the noncompete (as is often the case)? I’m sure that these issues would have all be the subject of litigation at some point. On the positive side (though admittedly not ideal for employers), the ambiguities could have been largely avoided by following the procedural requirement of providing a reasonable period (what’s is “reasonable,” you ask?) for the employee to consider the agreement before signing it. And, finally, the consequence of failing to comply is important: The agreement would have been void. That’s a big deal. As with much of the bill, however, that too is unclear. Would the entire agreement be void, or just the noncompete portion? AN ACT CONCERNING EMPLOYER USE OF NONCOMPETE AGREEMENTS. (2) “Employer” means a person engaged in business who has employees, including the state and any political subdivision thereof. (b) If (1) an employer is acquired by, or merged with, another employer, and (2) as a result of such merger or acquisition an employee of the employer is presented with a noncompete agreement as a condition of continued employment with the employer; any such noncompete agreement entered into, renewed or extended on or after October 1, 2013, between the employer and employee shall be void, unless prior to entering into the agreement, the employer provides the employee with a written copy of the agreement and a reasonable period of time, of not less than seven calendar days, to consider the merits of entering into the agreement. (c) Nothing in this section shall be construed to limit or deny any rights an employee may have at law or in equity. 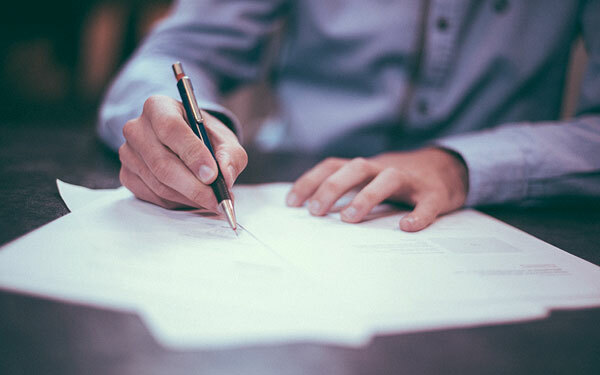 An employee may waive the right provided under subsection (b) of this section if such waiver is reduced to a separate writing, sets forth the right being waived and is signed by the employee prior to entering into the agreement. By the way, were you wondering about the image? It is nutmeg; it’s there because Connecticut is the Nutmeg State.